We are well into fall and everyone is starting to map out their vacations and holidays. Many of you will fly to warmer climates for the holidays but many of you will host family and friends as well. We wanted to help everyone make the best out the season and offer some tips for those of you that often scramble for activities during the winter. Lights in the Night – The event begins at 4:00 pm and goes till 8pm. Make sure to get there early this year as Downtown Echo and the KCBIA will be giving away prizes every three minutes! The lantern parade will kick off around 6pm, beginning at the Lansdowne Village. If you want to participate in making lanterns you can get involved at Stuart Wood on November 14, 21, and 28from 3-6pm. Ice Skating – If you’re looking for outdoor skating the recommended rinks include: Pinview Valley Community Ice Rink, Juniper Ice Rink and Dallas-Barnhartvale Church. If you prefer indoor skating rinks you can always head down to Brock Arena Ice Skating Rink, Valleyview Arena or the Memorial Arena Ice Skating Rink. Tubing and Tobogganing – One of my favorite winter activities has always been tobogganing. It’s a great activity to make a day out of along with hot cocoa. 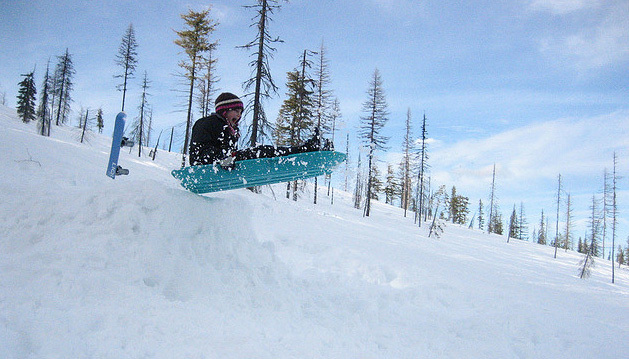 Some of the best local spots for tobogganing are Harper Mountain, Rayleigh, Bachelor Heights and Aberdeen. Click here for more information on hill locations. Sleigh Rides – This is a great way to spend the day with someone special or for the young ones as they always get a kick out of the horse drawn sled. Prepare a thermos of hot cocoa and head out to The Ranch which is approximately 45 minutes from downtown. Make sure to call in advance and schedule your sleigh ride as they only offer rides by appointment. Santa Claus Parade – Make sure to mark this one of the calendar as it’s a family favorite. The parade starts at 2nd and St. Paul heading North and then East on Victoria until 6th Ave. The parade begins at 11:00am and runs till 12:30pm. The parade will include floats, caroling, music, and fun for the whole family. We hope these activities fit into your seasonal plans and that you get out to enjoy the snow. If you’re planning a move this winter make sure to be safe and please refer to our blog post, Tips for Moving in Cold Weather. For any questions regarding your next move or for storage solutions please feel free to contact your Kamloops movers today.